The goal of this joint initiative is to capitalize on the collective knowledge and experience of renowned scientists and prominent political and diplomatic leaders from different parts of the world. The Advisory Group aims to provide high-level analysis and advice to governments and international organizations on how to manage the transformation to sustainable development in the context of national, regional, and global governance. This partnership helps create an effective mechanism for the translation of scientific evidence and technical knowledge into progressive yet realistic policy prescriptions, helping to advance the UN 2030 Agenda. CIRSD President Vuk Jeremić and members of the CIRSD Board of Advisors have also joined the Leadership Council of the UN SDSN. The Leadership Council is composed of internationally-recognized leaders and experts in sustainable development from academia, business, civil society, and the public sector. It offers strategic guidance and scientifically objective research to heads of state and government as well as cabinet ministers from around the world on the importance of implementing the UN 2030 Agenda. •advocating sustainable development as the foundation of the UN 2030 Agenda for Sustainable Development. CIRSD is committed to help deepen the understanding of economic, social, environmental, and foreign and security policy choices of different States and organizations. 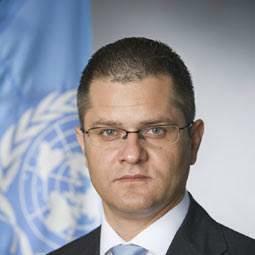 Vuk Jeremić is the President of the Center for International Relations and Sustainable Development (CIRSD). The CIRSD Program on International Relations promotes effective ways of advancing multilateral cooperation in the twenty-first century. The Program focuses on examining the strategic dynamics that shape international developments in addition to analyzing the day-to-day challenges faced by policy-makers.